It’s a dirty job, but somebody has to do it. Proper waste disposal is the third of the LNT Principles and it involves stuff we’d all rather not think about or bother with, but if we don’t all do our part it can really make a mess of things out there. Preparation again is key both in terms of what you bring with you and having a plan in advance. There are really only three categories of waste to be concerned with; human, liquid and everything else. Part of preparation is knowing the area you’ll be visiting. Of course you’ll want to know if they have any specific regulations regarding waste disposal but knowing the lay of the land will help you as well. Oddly enough the “everything else” group is the easiest to figure out how to deal with. Pack in/Pack out and you’re done. If you aren’t willing to carry it with you when you leave then don’t take it out there. Again preparation comes into play as you can change your behaviors to minimize the amount of waste produced. Meals should be sized so they can be completely consumed. Limiting odors is highly advised to avoid attracting wildlife. Depending on your pack you’ll have to figure out the best way to carry your trash. The container you use may vary depending on how you’ll carry it, but I find a large, one gallon zip bag works well for even extended trips. I carry it in an outside mesh pocket just in case but there really is nothing to leak out even if it was to come open. My daily trash output is wrappers from food bars I eat during the day and a quart freezer bag from my dinner. I can easily carry a week’s worth of trash so long as I can choke down my entire dinner every night. Some times I have to force myself to eat it all but not having to carry it is a good motivator. Liquid waste is also pretty simple to figure out a plan for. This is just water that you are using to wash gear or yourself and water used to prepare food but not consumed. The goal here is to avoid contaminating the watershed. Most every place will advise you dispose of waste water at least 200 feet from lakes, rivers and even dry washes. That’s about 70 steps but better farther than not far enough. Try to avoid using soaps as much as possible and screen water used to clean pots and dishes for food pieces which you can add to your carry out bag or bury in a cat hole. Planning can again help to reduce the amount of waste produced. I only boil water in my pot so it never needs to be cleaned and I eat right out of my dinner bag so I don’t have a dish to wash either. I do my body cleaning with sanitary moistened wipes so there is no soap or waste water issue though I do of course have to carry the used wipes out. That just leaves the human waste issue to deal with. Something I talked about in relation to surface preservation applies here too; if there are existing high impact sites use them, if not disperse. In this case that means if you have access to existing latrines along a trail take advantage of them when you can. Concentrating human impact can be a bit distasteful in this case, but it is more easily mitigated this way assuming the managing authority has planned and maintained the site well. If your trip takes you on a trail without such luxuries or you are off trail then try to spread your impact out by not using the same location twice. Groups should coordinate to avoid creating clustered locations. 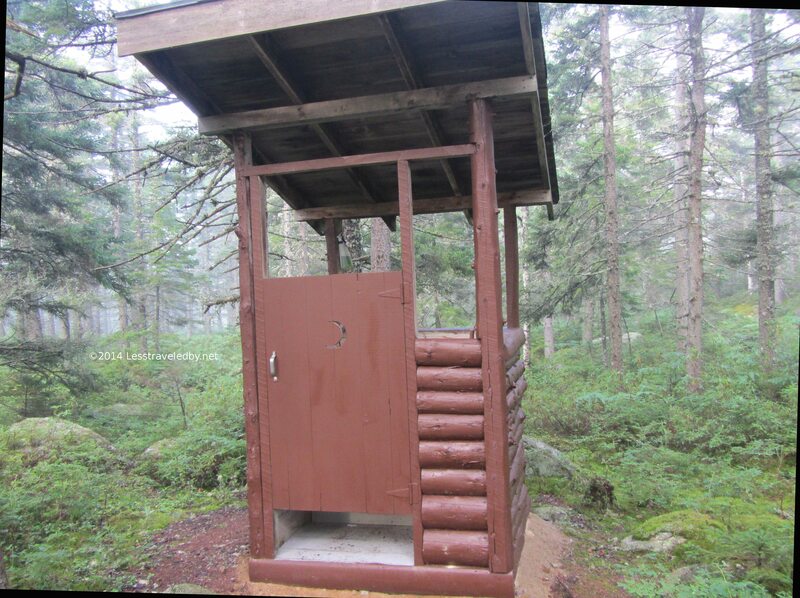 Liquid human waste requires no special steps other than the 70 or so needed to get the 200 feet away from water, camp or trail you should be. Unless there are any special regulations or recommendations in place a cat hole is the accepted standard for solid human waste disposal. A shallower hole of only about 4 inches is advised in hot dry climates with a few inches deeper advised for areas with wetter soils. TP should be carried out rather than left behind and the hole filled back in when you are done. Some alpine areas advise leaving human waste exposed on the surface for faster break down and to minimize surface damage. One of the many reasons to research an area before heading out. None of this is very complicated, but thinking about it ahead of time really makes a difference. Then when you are out there adventuring it helps to keep looking for things you could eliminate or do differently to make it easier on yourself to do the right things. I know my garbage bags used to be a lot heavier at the end of a trip, but now they are much more manageable. So give it some thought before your next trip. Then give it some thought while you are out there. How can you make it easier on yourself to do the right things. What can you do a little differently that might make a big difference on the path less traveled by? En plein air is not just for painting as this beauty shows. Building it facing the camp site might have taken things too far though.